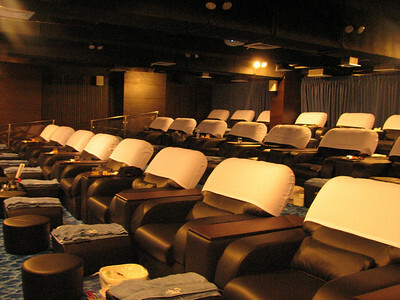 My blog post, "Family Reminiscing at a Spa Theater" won techfilipino.com's Bloggers contest so I got to join other bloggers last February 18 at Blue Water Day Spa for some foot reflexology and back massage, while watching Kung Fu Panda. The following post is as objective as could be. My only true complaint about the experience is getting a little lost. See, I didn't print out the map provided in the website but I did save the address. And the main landmark is a Caltex station so I shared what I have with the cab driver and trusted he'd bring me where I intended to go. Blue Water's map should show that there are TWO Caltex stations near Greenhills Shopping center. I was dropped at the one in front when I should have been delivered at the one near the Club Filipino Road/Razon's. I kept calling the receptionist at the spa and asked for other landmarks. Being told that BDO is in front of them didn't help because there was also a BDO near the Caltex station where I was. Being told that I should be seeing the McKinley Drive sign also didn't help because I was also able to see that where I was. It took about three calls to them and me volunteering the possibility that there could be another Caltex station along Ortigas Avenue before we were able to establish that I was at the wrong Caltex station. The experience gave me blisters on my feet but it was a small price to pay for the lovely time we had. The foot reflexology and back massage I got was absolutely wonderful. Had it not been free (our prize for winning the contest), it would have cost me P550 which would have been money well spent. You could say they really trained their staff well and even researched the techniques. 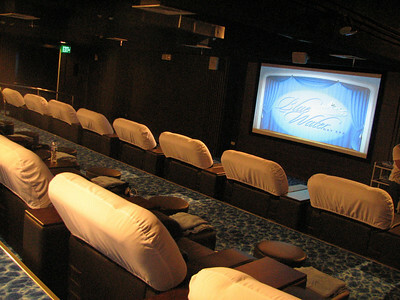 Blue Water Day Spa really invested in their Spa Theater, where all things foot (reflexology, foot spa, etc) happen. If not the latest Blue Ray movies, they show cable TV shows while their patrons get pampered. People can also rent the theater for P7,000 for private screenings (for events, for about 3-4 hours) and pay P21,000 if they want spa services during the screening. The staff are friendly, and dressed like they're flight stewardesses. And yes, I can't wait to go back and try their other services! And yes, I am raving because not all spas are created equal. 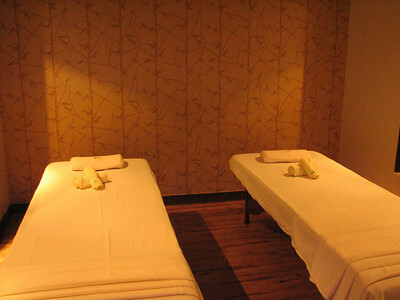 Some focus more on the ambience without doing the massage right. Blue Water Day Spa is probably becoming a trusted brand indeed. Some other services they offer include Tibetan Meridian Fire Therapy, Body Massage Therapies and Special Touches, Body Scrubs, facial Treatments, face and Body machine Treatments, hair Removal, Skin Rejuvenation, Spider Vein Treatments, Foot Treatments, and Hand Treatments. 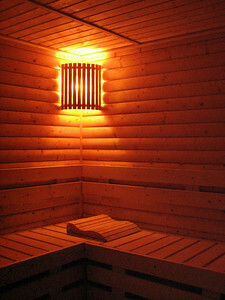 They also offer Spa Packages and Membership Packages. There are branches in Greenhills, Alabang, Makati and Mother Ignacia. I think they're also building one in Tagaytay. But only Greenhills has a spa theater, I think. Thanks to Mr. Francis Simisim for the great hospitality. I really wish his business well. Thanks Mec for coming to the event, sorry that you did get lost on the way. But I'm glad to hear that you had a great time in our spa.